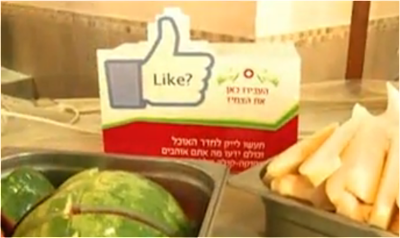 This summer Publicis E-dologic worked with the Coca-Cola village in Israel to produce a real world version of the Facebook Like. Visitors were given an RFID wristband and exhibits inside the Coca-Cola village were equipped with RFID receivers - if these were touched with a wristband a 'Like' would be displayed on the wearers Facebook profile. Furthermore, if photographed by one of the official photographers, the RFID technology would automatically tag everyone in the photo and upload it to the relevant Facebook profiles. This real world Liking resulted in up to 35,000 posts per cycle, even though the village only holds a maximum of 650 each time - so on average each visitor was posting 54 pieces of Coke branded content to their Facebook profile for their friends to see! Is the 'real world Like' about to become the new 'Check In'? Brilliant campaign, congratulations. Which manufacturer did you get the wrist bands from?